The EUR/USD currency pair may have reached the area for sales. However, one can consider opening short positions only after the price leaves the rising channel. The closest target of the growth is the area of 1.4230, the main target is the level of 1.3655. 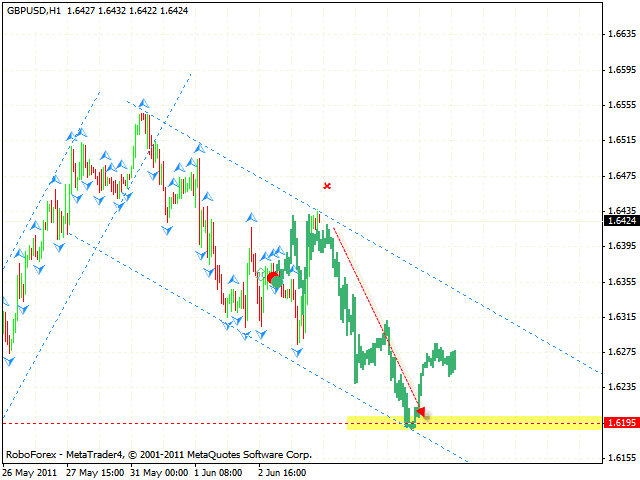 The stop must be above 1.4650. Pound is moving according to the forecast. 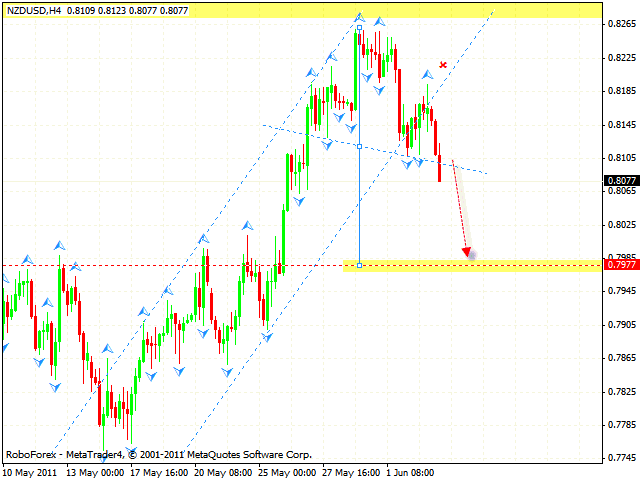 At the moment one can consider selling the GBP/USD currency pair with the tight stop. The target of the fall is the area of 1.6195. If the price breaks the channel’s upper border and leaves it, this case scenario will be cancelled. 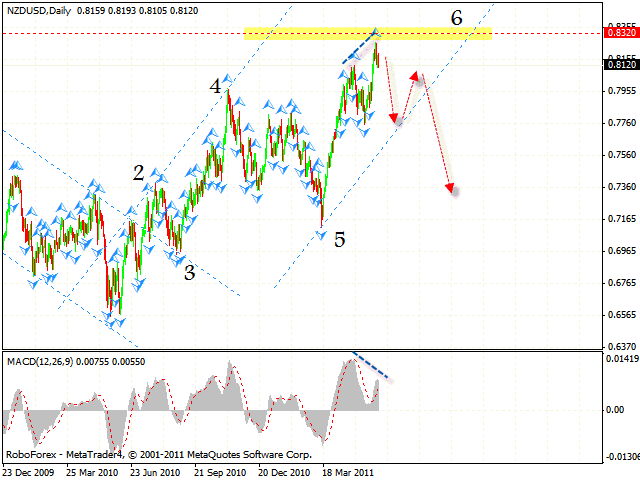 Franc keeps moving inside the descending pattern, the general target of the fall is the area of 0.8050. Currently we should expect the price to grow to the channel’s upper border in the area of 0.8765, where one can consider selling the pair. If the price leaves the descending channel, this case scenario will be cancelled. 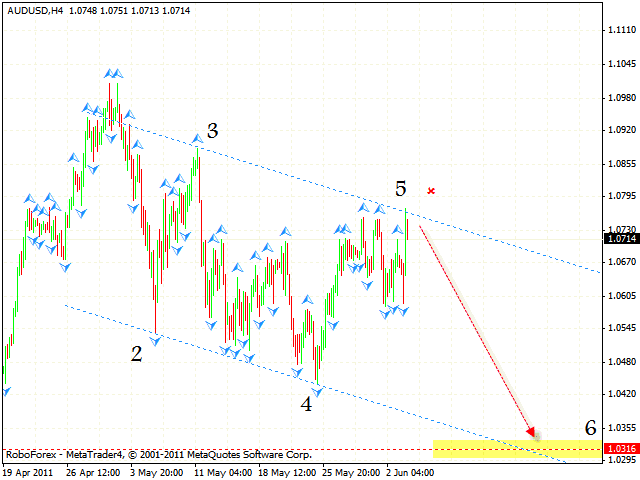 Australian Dollar is moving inside the descending channel, the target of the fall is the area of 1.0315. 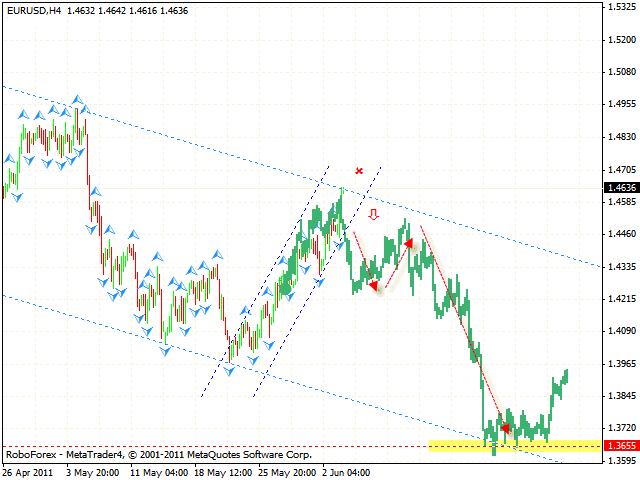 At the moment the AUD/USD currency pair is testing the channel’s upper border. One can consider selling the pair with the tight stop. If the price breaks the descending channel and leaves it, this case scenario will be cancelled. 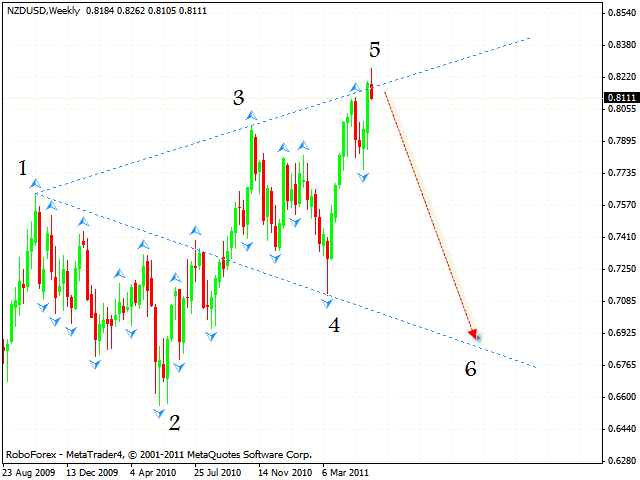 At the weekly chart of the NZD/USD currency pair we can see the formation of the descending Wolfe Wave with the target in the area of 0.6800. One can consider opening short positions with the tight stop. But if the price reaches a new local minimum in the area of 0.8265, this case scenario will be cancelled. At the daily chart of the pair the price has almost reached the targets of the rising pattern. Also here we can see that “divergence” at the MACD has been formed, indicating a possible reverse of existing trend. We should expect the price to test the channel’s lower border and consider increasing the amount of short positions only after the price breaks it. 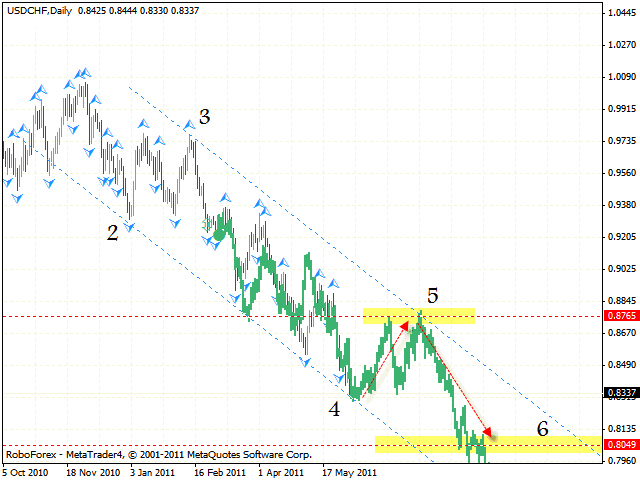 At the H4 chart we can see that the New Zealand Dollar has left the rising channel. Here we have “head & shoulders” reversal pattern with the target in the area of 0.7977. This pattern may turn into a descending pulse. When opening short positions the stop must be above 0.8190.